Now that the warm weather is here, I am all about salads. 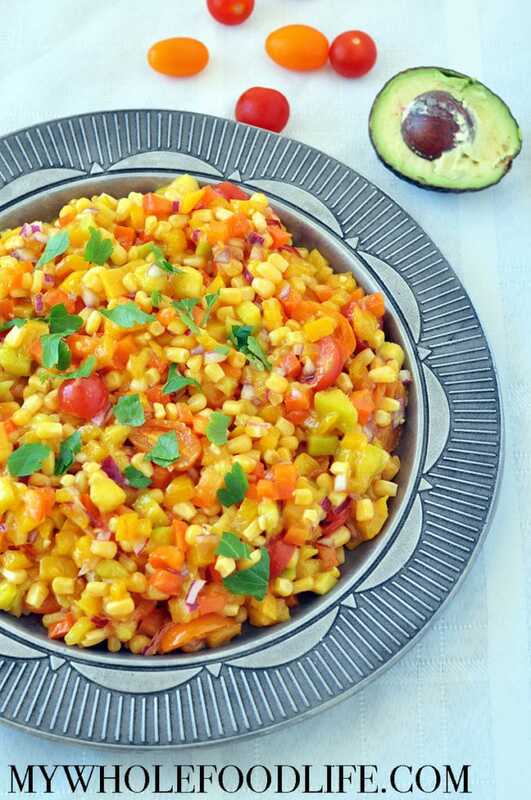 This Fresh Corn and Mango Salad is so refreshing. 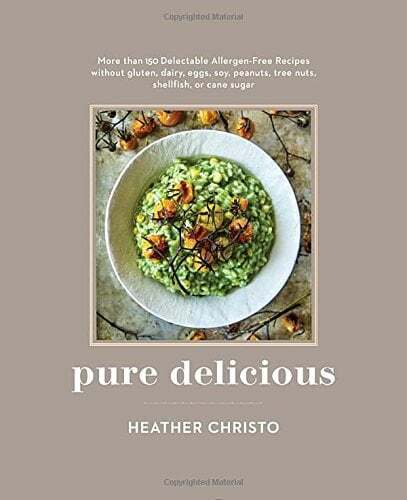 The recipe comes from Heather Christo’s new book Pure Delicious – More than 150 Delectable Allergen-Free Recipes. ALL the recipes in this beautiful book contain no: gluten, dairy, eggs, soy, peanuts, tree nuts, shellfish or cane sugar. You may already know Heather from her blog, heatherchristo.com. Her pictures are absolutely gorgeous and this book does not disappoint! My daughter has tree nut allergies, so I love that this book is full of things she can eat! We took the corn salad to a family gathering yesterday and it was a hit. I also added avocado, because avocado makes everything better, right? This book is not vegan, but there are TONS of vegan options in it. This salad would be perfect for Cinco de Mayo too! If you are looking for more Cinco de Mayo recipes, try my Homemade Salsa or Homemade Guacamole. This recipe is super easy to make too. I hope you enjoy it. For more info on the book click here. The perfect salad for a cookout. Use a large knife to cut the kernels off the corn cobs. Place in a large bowl. Serve immediately, or refrigerate for up to 3 days. Everything is definitely better with avocado!